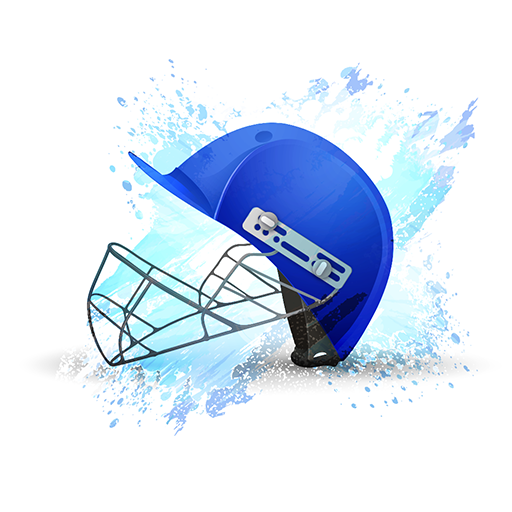 Looking for ICC (International Champions Trophy) England & Wales 2017 cricket match schedule? 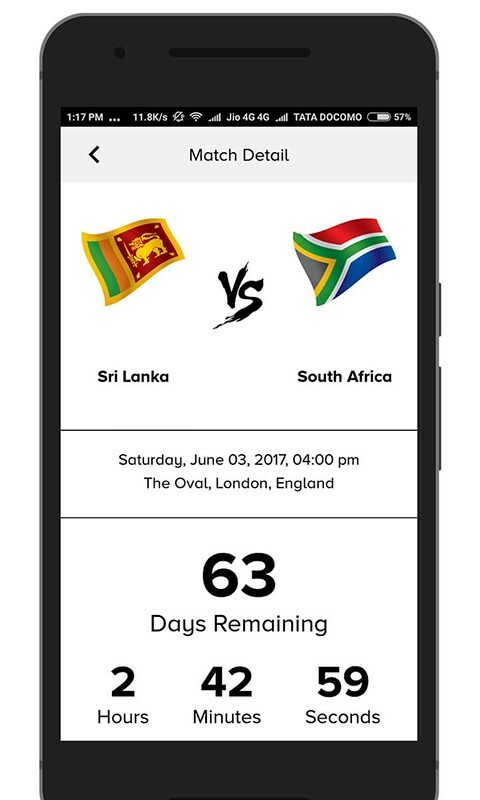 Download “Schedule: Champions Trophy 2017” app today & get all the information about ICC Champions Trophy 2017 cricket match schedules, team fixtures, match venues, player information, live scores, latest news, results - all in just a single tap. 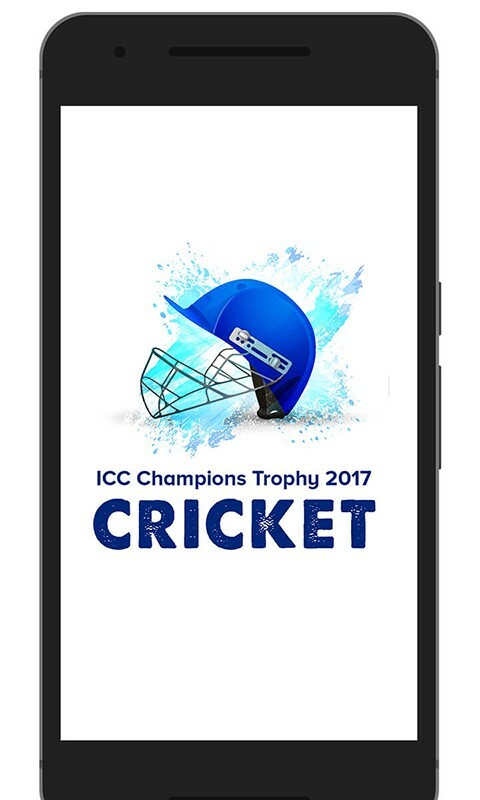 Through this top rated & best champions league cricket app, you will get the complete time table of ICC ODI (One Day International) tournament (second biggest tournament in cricket after the ICC Cricket World Cup) on the go. 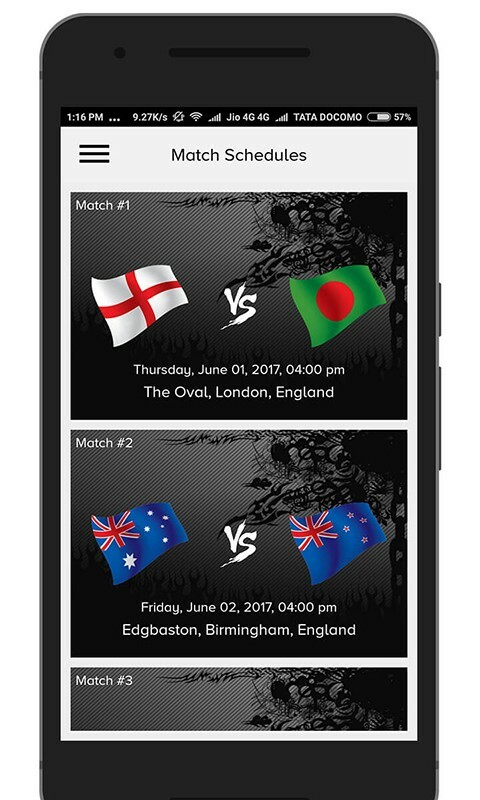 The ODI championship is going to start from June 1st, 2017 & the final match will be on June 18th, 2017 in London, England. 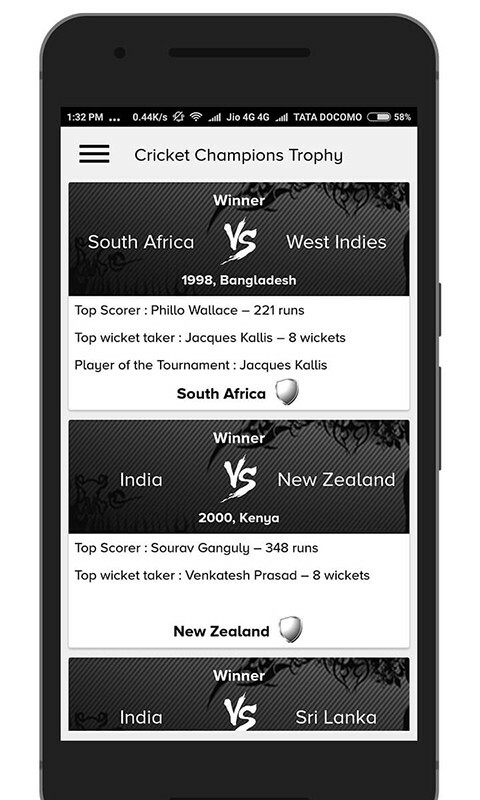 The ODI series has never been won by England with Indian & Australia having won it twice each as leading winners. 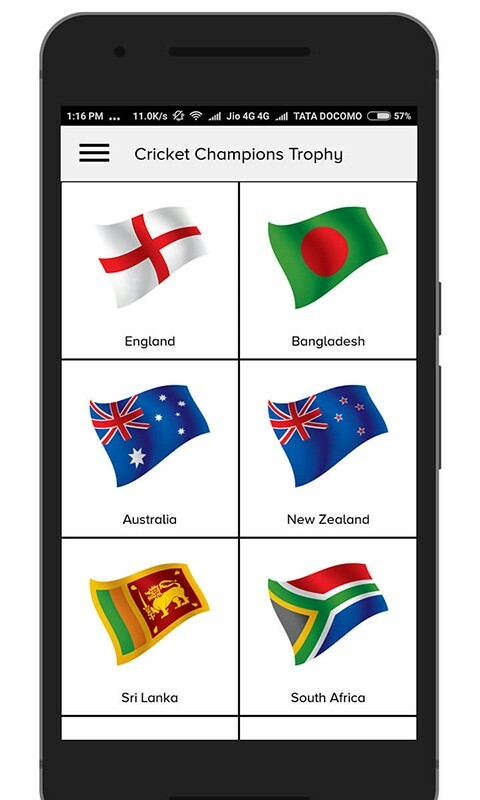 The top 8 teams (as per the ICC T20 international cricket rankings) are divided in 2 groups - Group A & Group B. This year, West Indies are not taking part as they are not one of the eight top ranked teams as per the ICC ODI ratings. The West Indies team is replaced by Bangladesh & it is the first time West Indies are not a part of the ODI series since the tournament commenced in 1998. 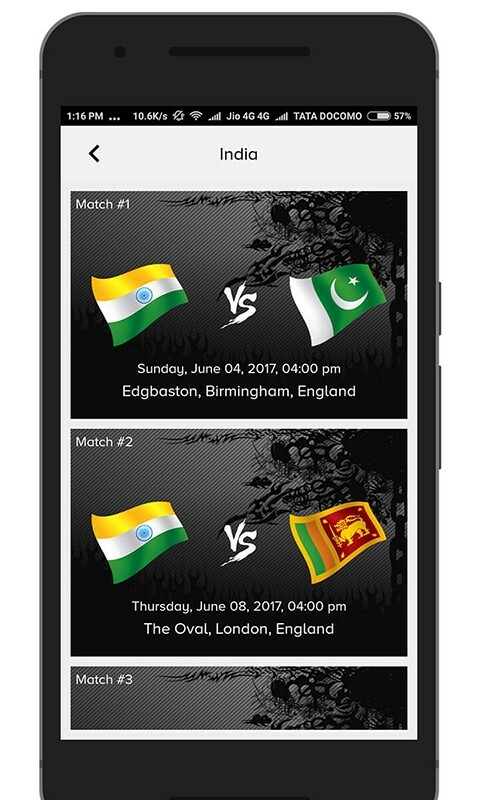 This ICC Champions Trophy 2017 Schedule app is designed exclusively for all T20 cricket fans & lovers. So what are you waiting for? 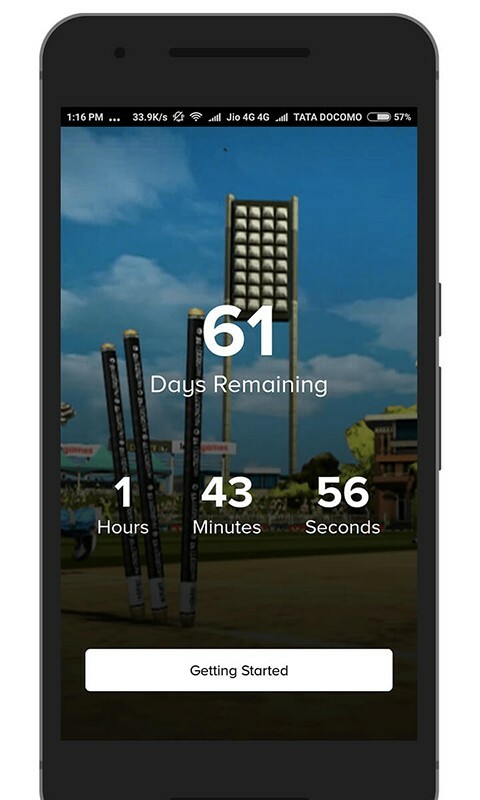 All you T20 cricket match fans out there, download the “Schedule: Champions Trophy 2017” free app today & get crazy about the second largest cricket tournament.